What do Barack Obama, Gordon Ramsay, Steve Wozniak, Patrick Stewart, Bill Gates, Elon Musk, and Ronda Rousey all have in common? 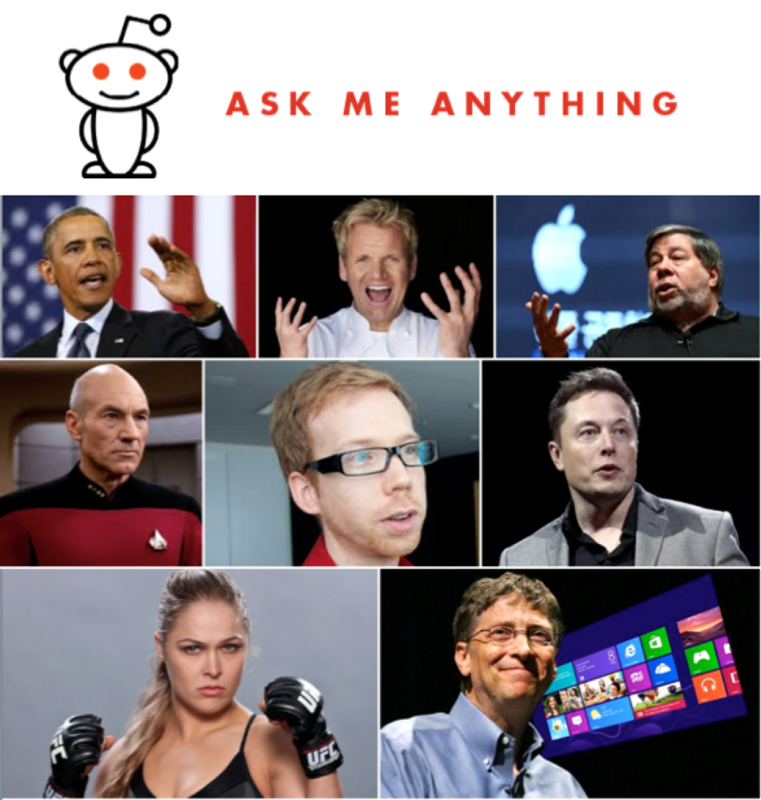 They’re all previous participants in the distinctive and high-profile ‘Ask Me Anything’ interview format hosted by Reddit, the self-styled ‘front page of the Internet’. On Friday 8 July at 1700hrs BST (0900hrs PDT/ 1200hrs EDT), EVRYTHNG co-founder and CTO Dominique Guinard will join their ranks, sitting down to answer all manner of questions from Reddit’s users about the Internet of Things (IoT) and its potential to dramatically change our physical environment, the everyday objects that surround us, and our personal and professional lives. If you thought the Internet of Things was about your fridge talking to the grocery store to have milk delivered before you run out, think again. From the things we wear to the food we eat, the bikes we ride and the cities we live in, IoT has the power to transform a host of industries across the globe by making everyday objects smarter, more connected, and – ultimately – more useful. EVRYTHNG’s vision of the inter-connected future is a world in which every physical thing comes to life digitally, equipped with its own unique software identity in the cloud. As more products are ‘Born Digital’, i.e. manufactured with a cloud twin to access these programmable data capabilities, developers and manufacturers can create innovative ways to connect any object into the real-time ecosystem of the web, and our digital lives. Dom’s AMA chat coincides with the launch of his first book, Building the Web of Things, written with another EVRYTHNG co-founder Vlad Trifa. The book compiles much of the insight Dom gained during Ph.D. studies in 2007 working on the WebofThings.org initiative, which has continuously evolved since then as the pre-eminent community of developers, researchers, and designers exploring the future of the physical Web. Join the digital conversation on Friday 8 July at 1700hrs BST (0900hrs PDT/ 1200hrs EDT).